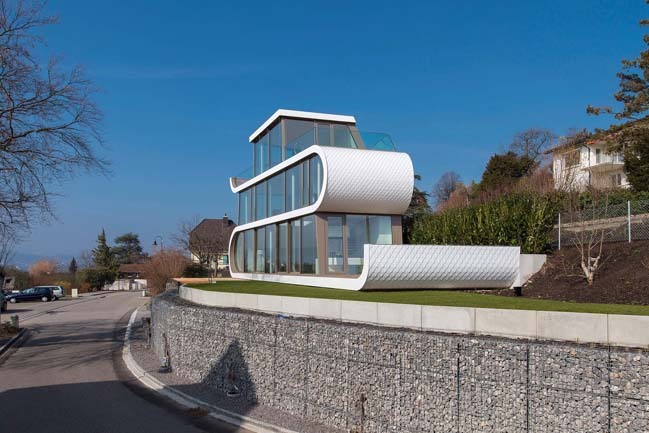 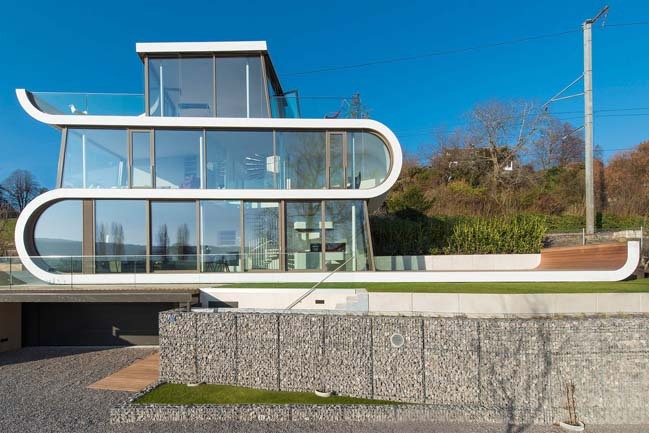 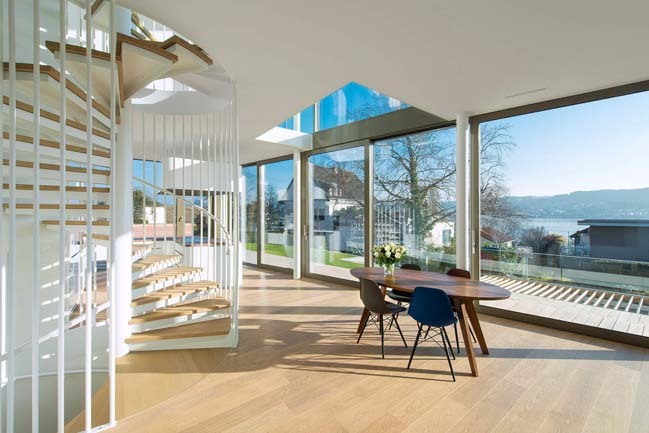 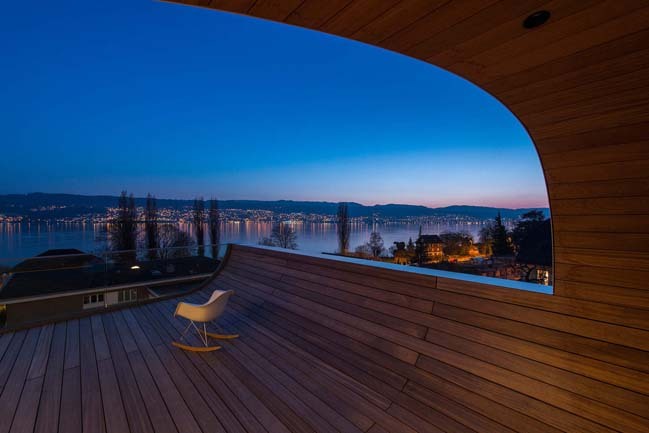 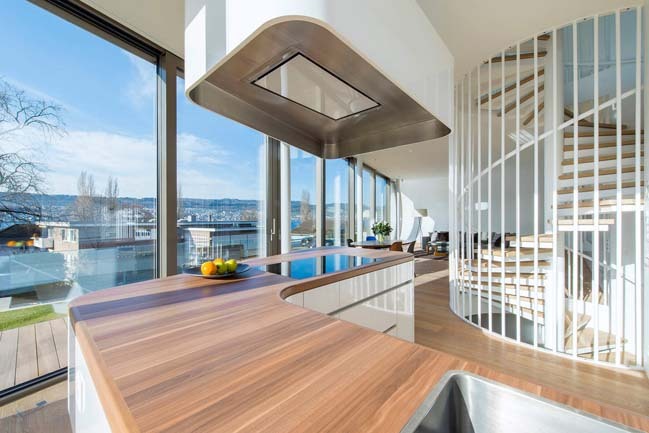 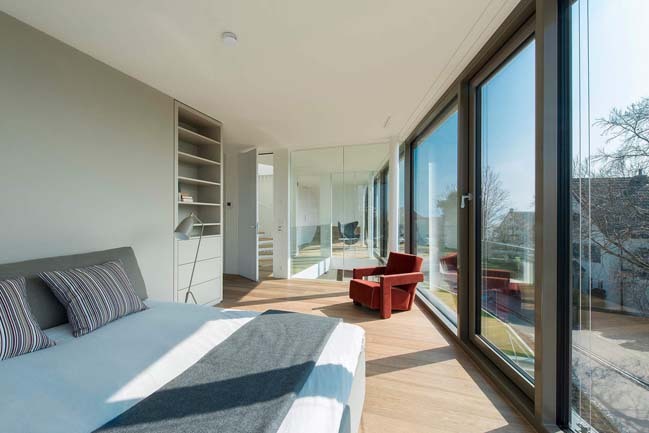 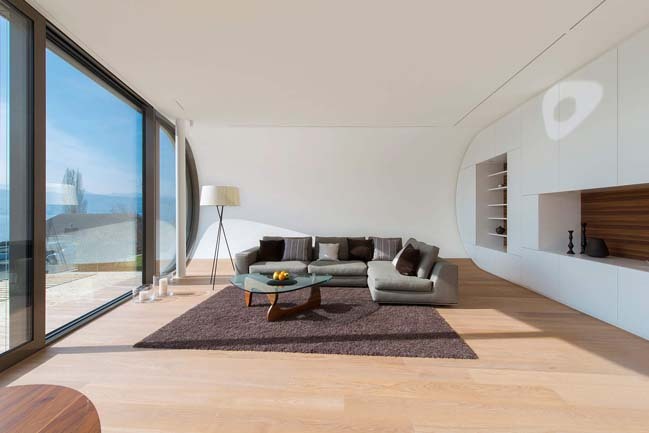 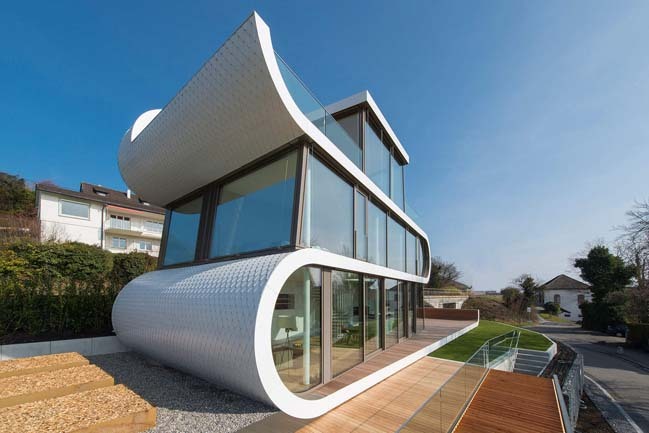 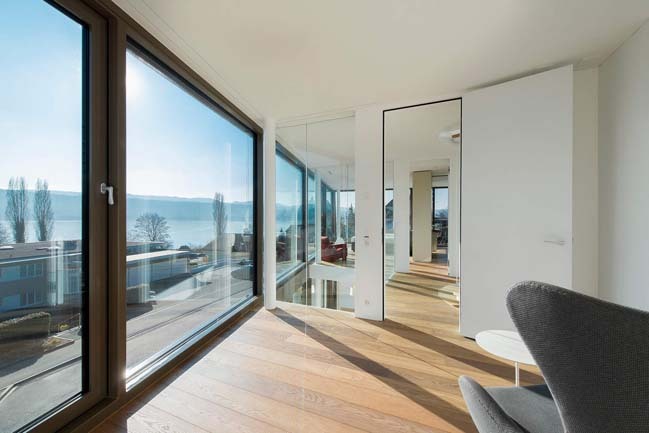 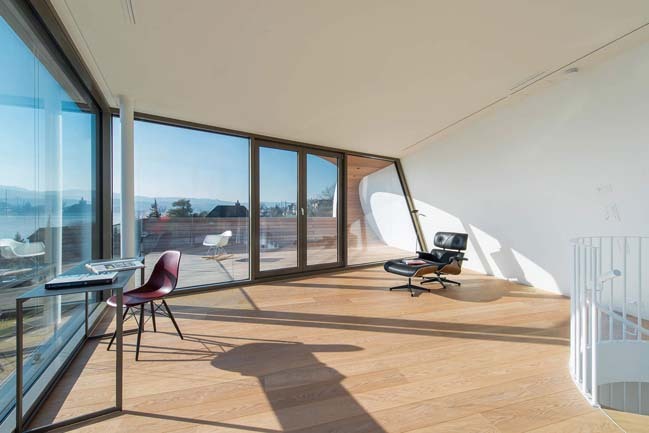 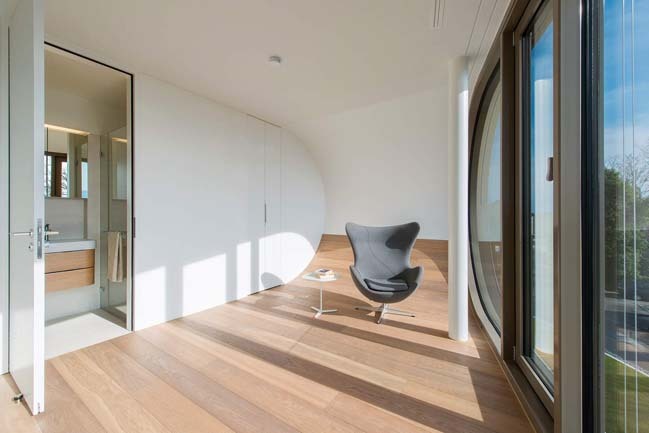 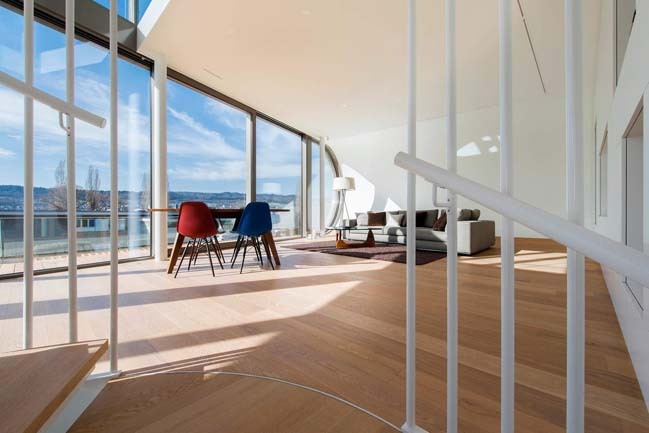 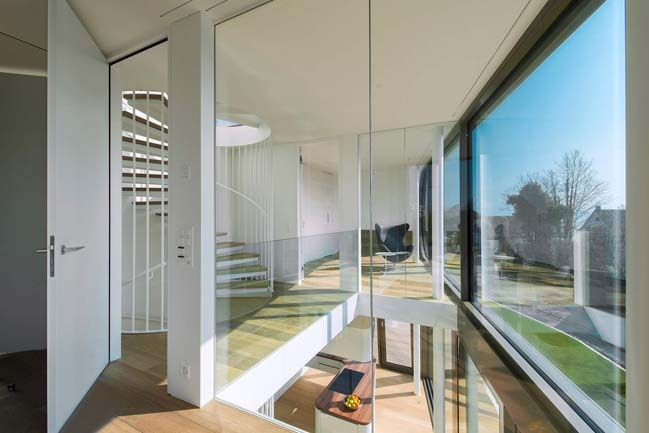 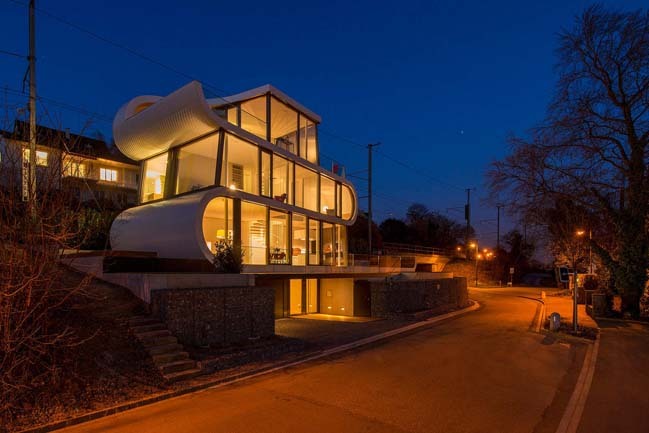 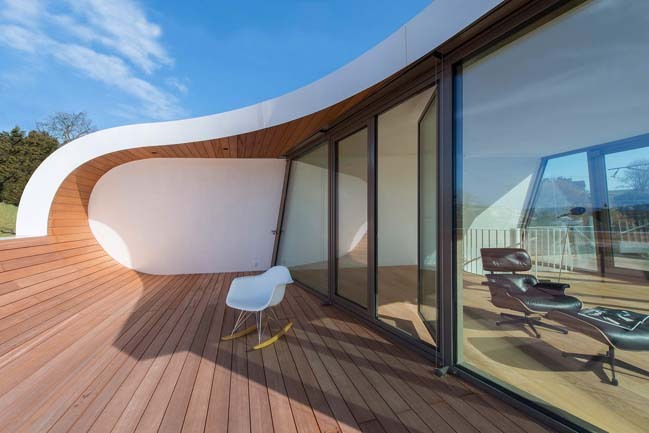 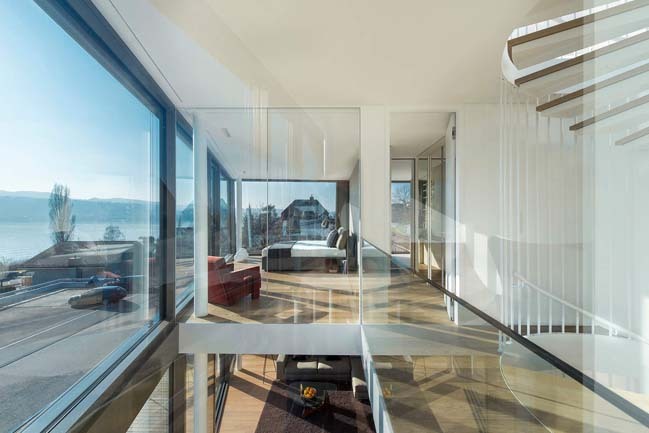 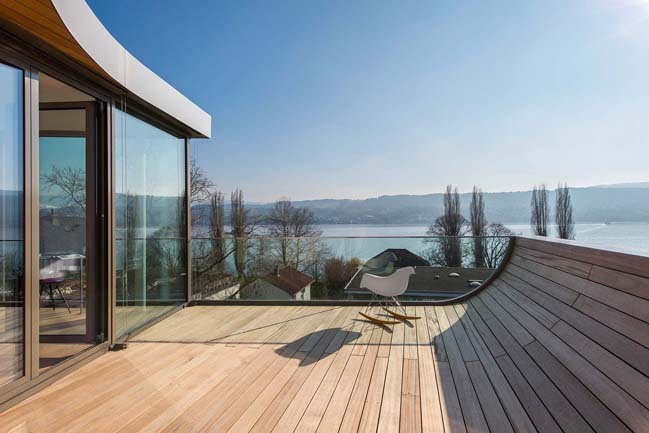 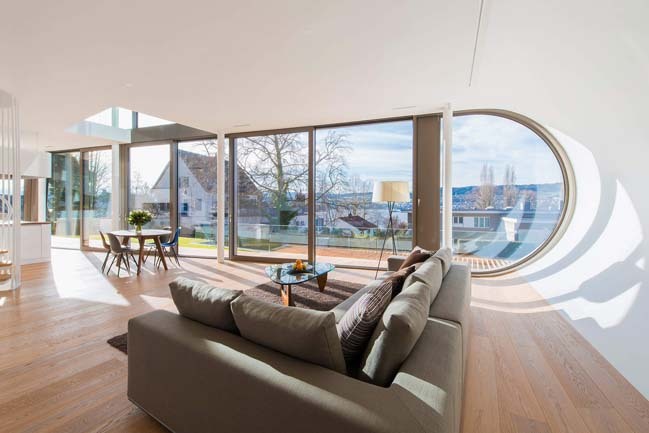 Flexhouse is a modern house located on the banks of Lake Zurich that has an exclusive facade which is surrounded by wide glass walls and white ribbon-like lines to make the house like as a futuristic vessel that has sailed in from the lake and found itself a natural place to dock. 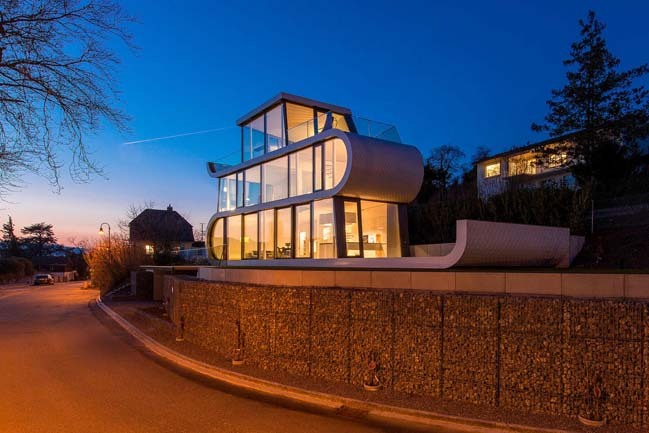 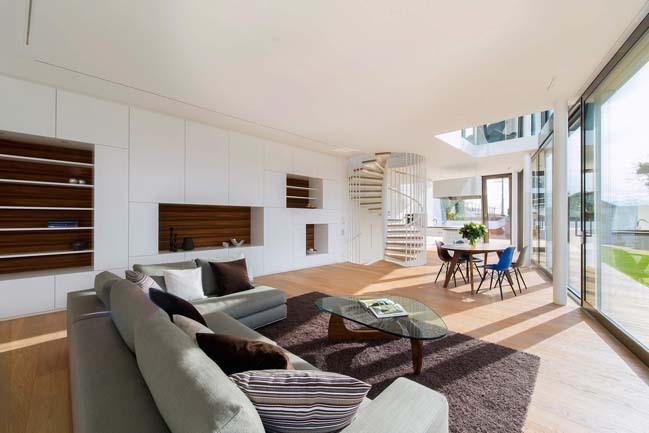 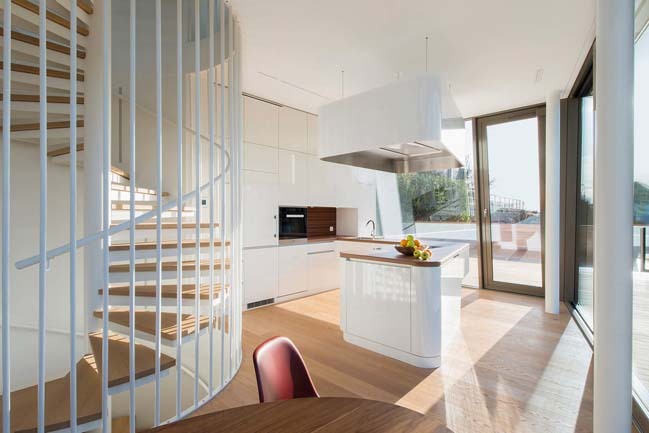 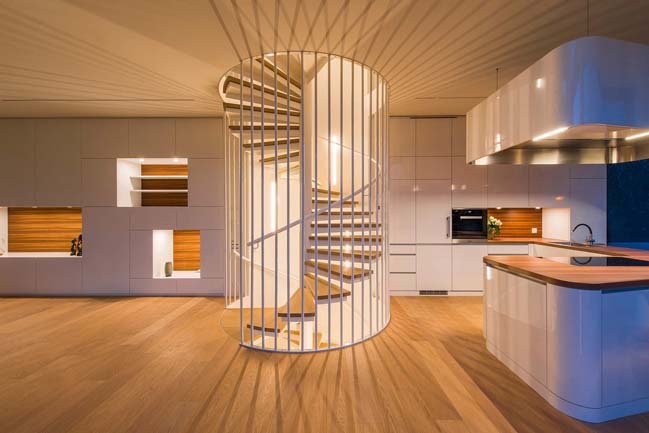 According to the architects: The four storey, 173 sq metre home has an open plan living, dining and kitchen space on the ground floor, two bedrooms and bathrooms on the first floor, a studio with two large terraces on the second floor and a basement level with underground garage and utility space. 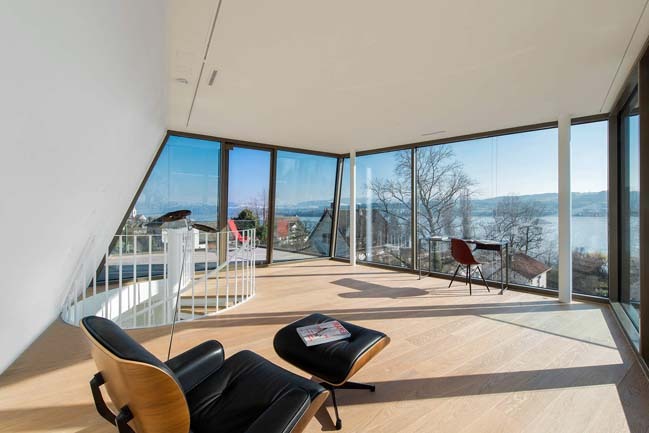 But it is the striking exterior architecture and the breathtaking 180degree views across Lake Zurich to the mountains beyond that really capture the imagination.